You may have noticed during the last fashion seasons that Louis Vuitton designers are in a reinventing the past fever by combining iconic bag models that already had their share of glory days with various types of exotic leather fabrics. This is how many of the new Louis Vuitton stars like Pallas or Majestueux Â were born. This is also how Louis Vuitton Damier Belmont was created, and its success was so big that many Hollywood stars and other celebrities have been seen wearing it. 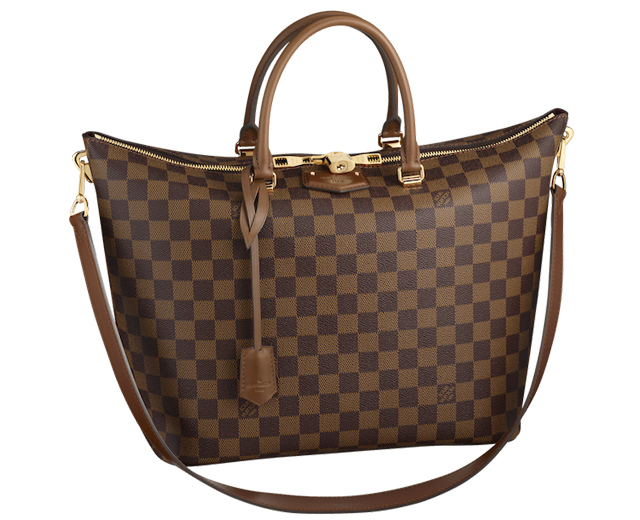 If you are looking for a bag that offers you everything, Louis Vuitton Damier Belmont is the answer. Beautiful example of how fashion houses reinvent their iconic models, making them modern and adapting them to contemporary times, Louis Vuitton Damier Belmont uses high quality raw calf leather to provide nowadaysâ€™ women with a reliable, functional and stylish Â bag that is able to fit inside all the things a dynamic woman has to carry along all day long. Perfectly suitable for a walk in the part, Louis Vuitton Damier Belmont is also an elegant choice for the office or a business meeting. You can carry it in your hand without any worries as the solid leather handles will not break. You can also use the shoulder strap for a more casual look and very comfortable experience. Louis Vuitton Damier Belmont is equipped with a leather loop closing in a zipper, a metallic brass padlock that has golden tone and is decorated with leather streeps. On the bottom side, there are protective metallic feet that allow you to put your bag down in full security. It wonâ€™t get dirty or scratched no matter where you put it. Inside, this bag is organized especially for a modern womanâ€™s needs, featuring smartphone pockets, key holder and other pockets for safe storing your most valuable things.